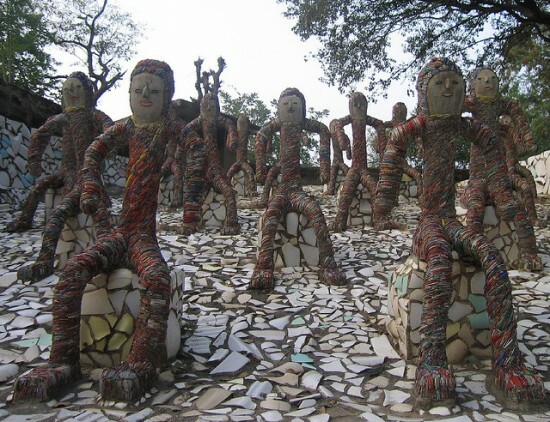 The Rock Garden of Chandigarh is a 40-acre park full of plazas, waterfalls and thousands of unique creatures made from recycled materials. 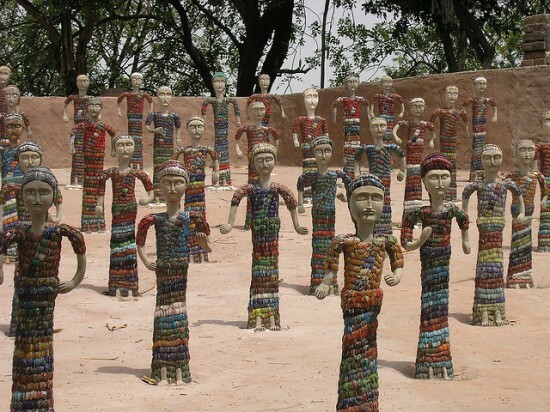 It’s a truly impressive sight, but even more so is the story of how Nek Chand spent four decades creating it and how he kept it a secret, for years. 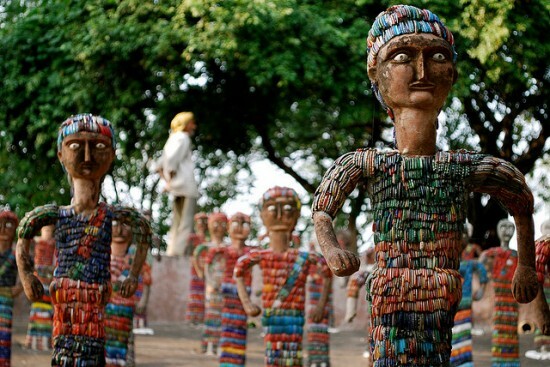 In 1958, Nek Chand was a road inspector for the Public Works Department, and was making rafts and boats to be sail upon the recently created Sukhna Lake, but peddle boats were soon made available for rent by authorities, and his craft was banned. This allowed Nek to devote more time to his passion for rocks and stones, and he began gathering them from the nearby Shivalik Hills, and the Sukhna Cho, Patiala Rao and Ghaggar rivers. 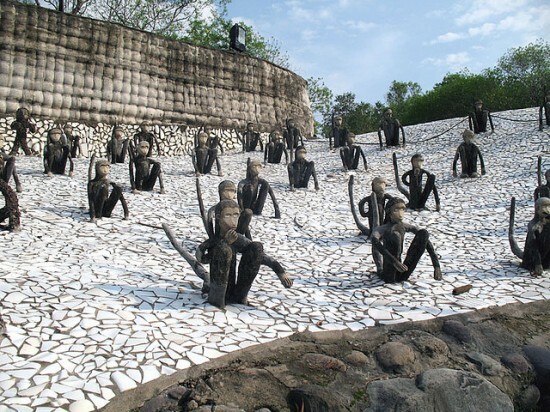 It was around this time that the Swiss architect Le Corbusier was asked to design the city of Chandigarh, the first planned city of India, and the small villages around the area were demolished. 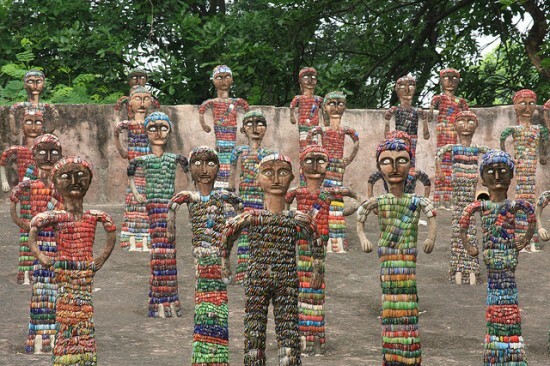 This provided Nek Chand with plenty of material for his increasing collection of rocks. 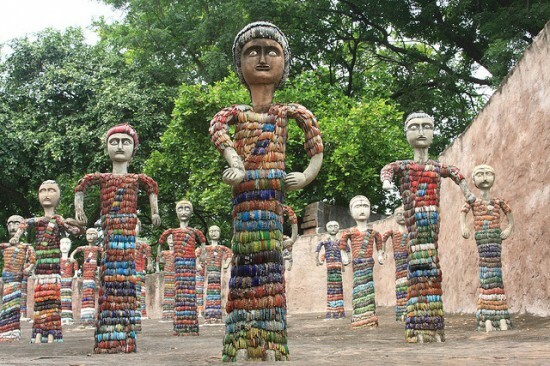 In 1965, after putting together an impressive collection of waste from the destroyed villages, Nek Chand began dreaming of a fairytale kingdom of his own. After all, he was working on creating the utopian city of Chandigarh, so he wondered if he couldn’t create a world of his own, out of the rabble he spent so much time gathering. He found a secluded gorge, in the forest on the outskirts of the city, and decided that’s where he was going to build his magical kingdom. 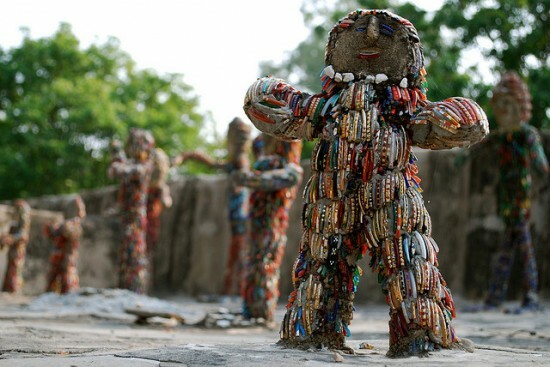 At the end of each work day, he would disappear into the forest and tend to his vision, at the light of burning tires. Nek was afraid this dream of his would cost him his job, since it was very much an illegal project, but this didn’t stop him from expanding the Rock Garden with each passing day. Shards of broken pots and bottles, brick fragments and natural stones, these were the main ingredients used to create a unique world, inhabited by marvelous creatures. It took a year for M.N. 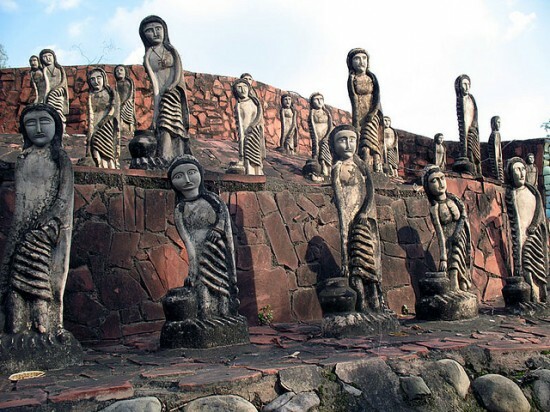 Sharma to convince Indian authorities, but his efforts paid off, and Rock Garden finally got the recognition it deserved. 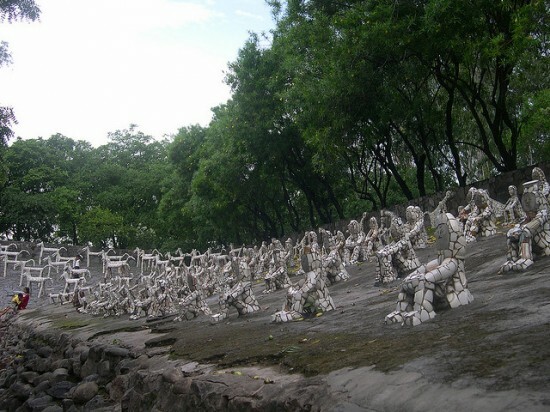 Nek Chand received authorization to expand his project on another 25 acres, and the Rock Garden was open to the public, in 1976. Its creator worked under threat of imprisonment and the demolition of the project, for 18 years, but it all paid off, in the end. Ever since he first started working on it, recycling was a very important part, but after it was finally authorized, it became even more so. Nek set up waste collection centers across Chandigarh, at hospitals, hotels, restaurants and other big waste suppliers. He kept working on it, until just a few years ago. 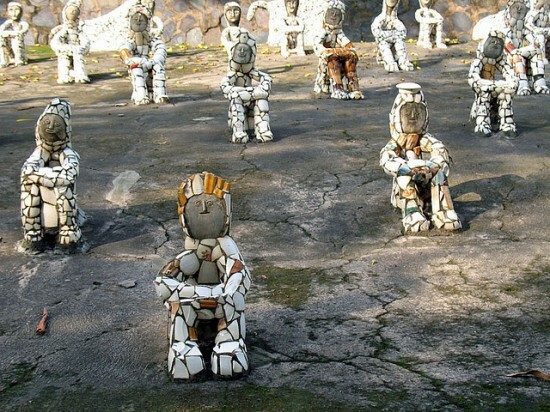 Today, an estimated 5,000 people from all around India and abroad come to see Nek Chand’s Rock Garden, every day. It practically went from being a secret, unauthorized fantasy, to India’s second most popular tourist attraction, after the Taj Mahal. How is that for an incredible turn of events?